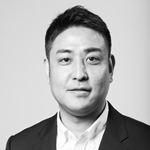 Atsushi Sumiya joined UNU-IAS as a Project Assistant for the Postgraduate Programme in January of 2016. He holds an MA in Migration and Law from Queen Mary University of London. He is currently a PhD candidate at the University of Tsukuba in Japan. His current research focuses on civil society’s support for foreign residents, especially refugees and foreign children, in Japan. Prior to joining UNU-IAS, he worked at UNU-Press and Building Management of UNU Centre as an individual contractor.